My Dad worked as a post man when we first moved to Welwyn Garden City, later moving to work on the counter in the Post Office in Howardsgate. Parties for the children of postal workers were occasionally held – I only have vague memories! 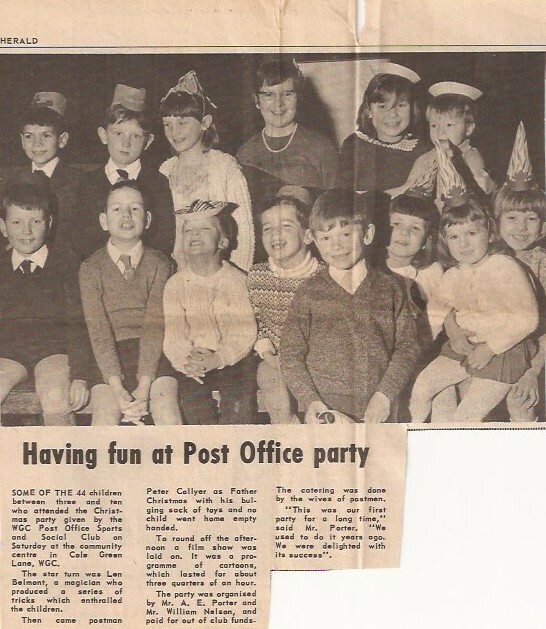 This picture was in the Friday 10th January 1969 issue of the Welwyn Times & Hatfield Herald. I’m in glasses and pearls (?) on the back row with my brother on the far left! This page was added on 22/06/2015.